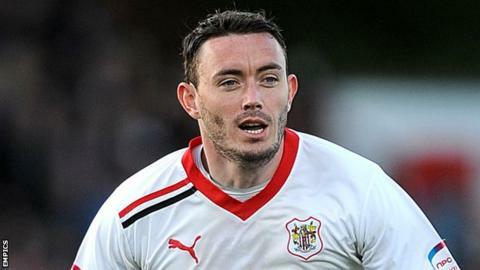 Aldershot Town striker Craig Reid believes he will score more goals as he settles into the team's style of play. The 26-year-old has scored twice in six appearances following his summer move from Stevenage. "The team have to adjust to the way that you play and you have to know each other's strengths and weaknesses," Reid told BBC Surrey. "We are getting there. The more and more we play and train together the more it will come together." He added: "Scoring goals is what I've been brought in to do and I hope there are many more to come." The Shots have lost both of their home games in League Two this season and have taken four points from their five matches. However Reid is optimistic of registering a first success at the EBB Stadium, with Morecambe the visitors this weekend, and starting to move up the table. "We've had a hard last few games and a lot of travelling recently," he continued. "We've got to use home advantage and the fans and make sure that we make it as hard as possible when teams come to us. "I'm sure we will get the home results we deserve."